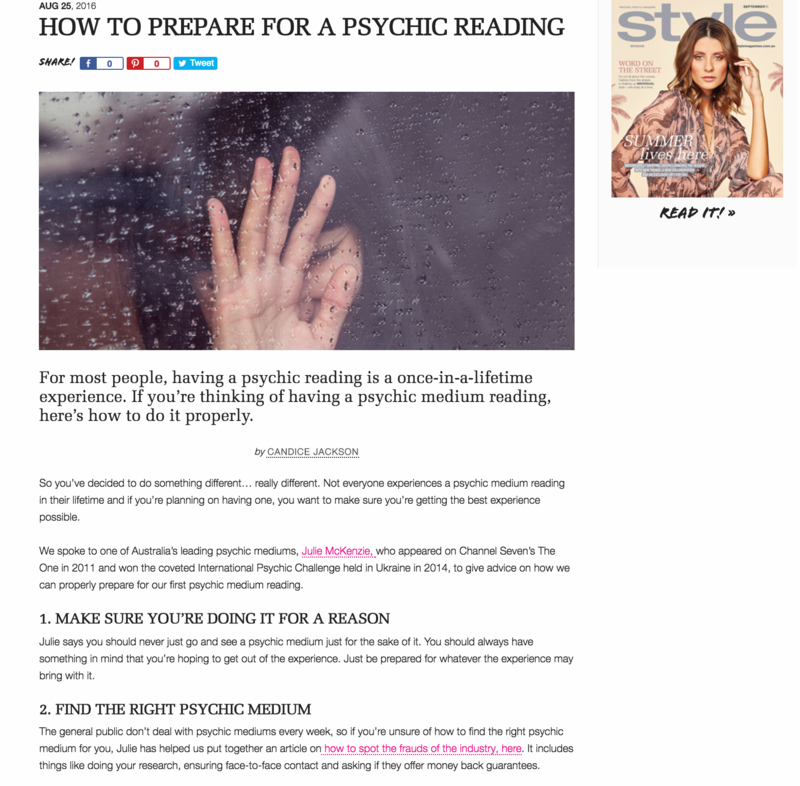 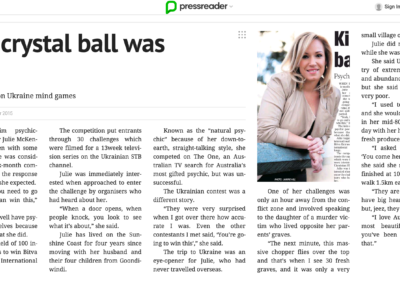 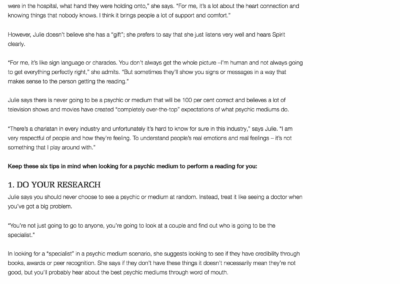 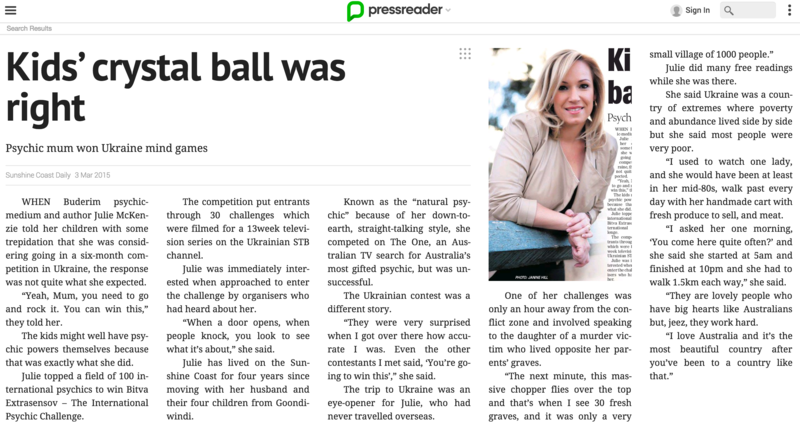 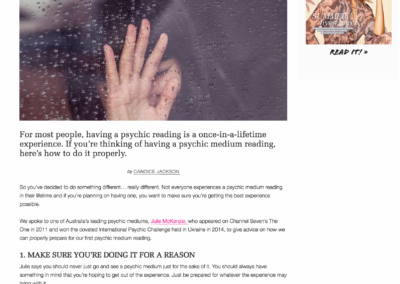 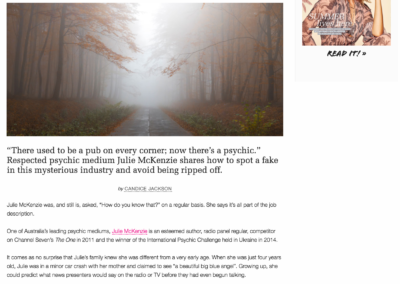 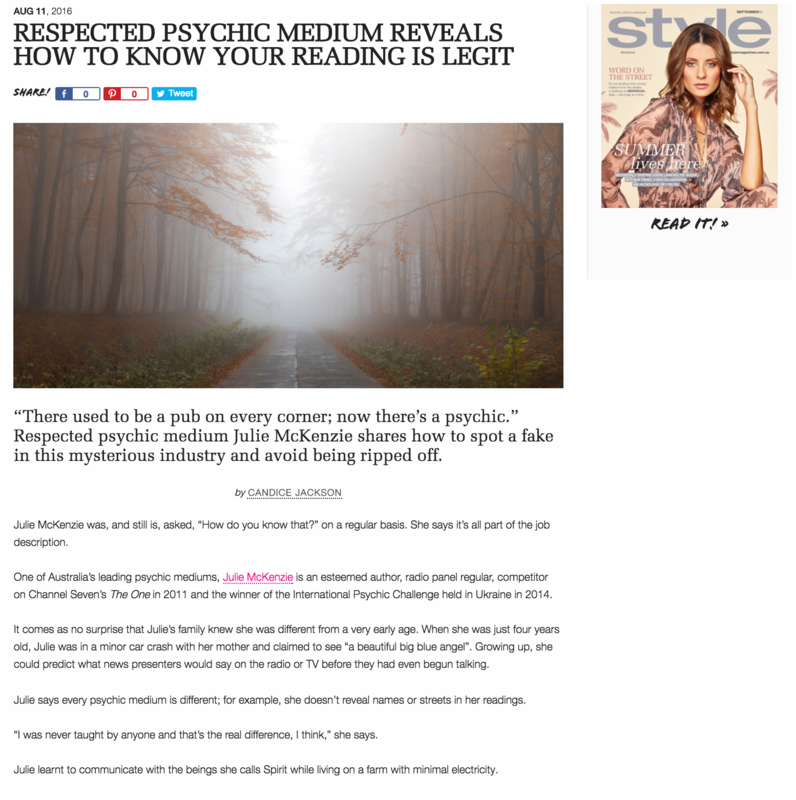 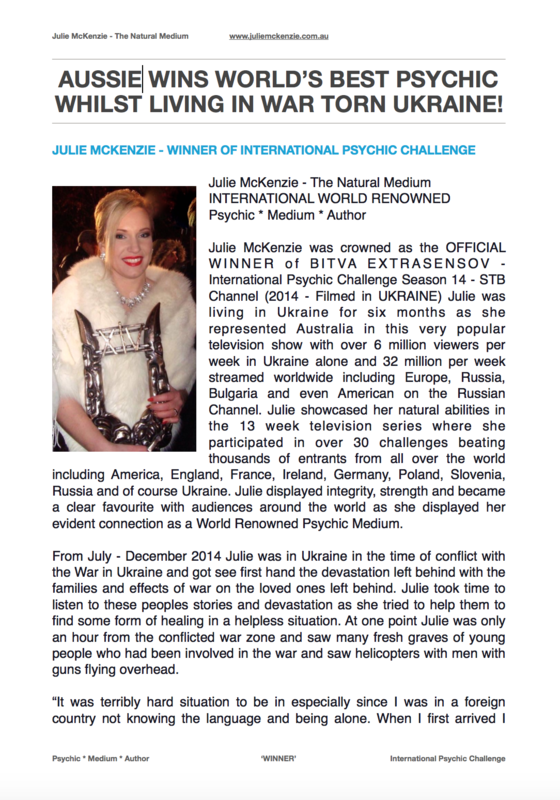 Julie McKenzie is the WINNER of the International Psychic Challenge 2014 (filmed in Ukraine) and has appeared on television internationally and on Australia’s Channel 7 ‘The One’. 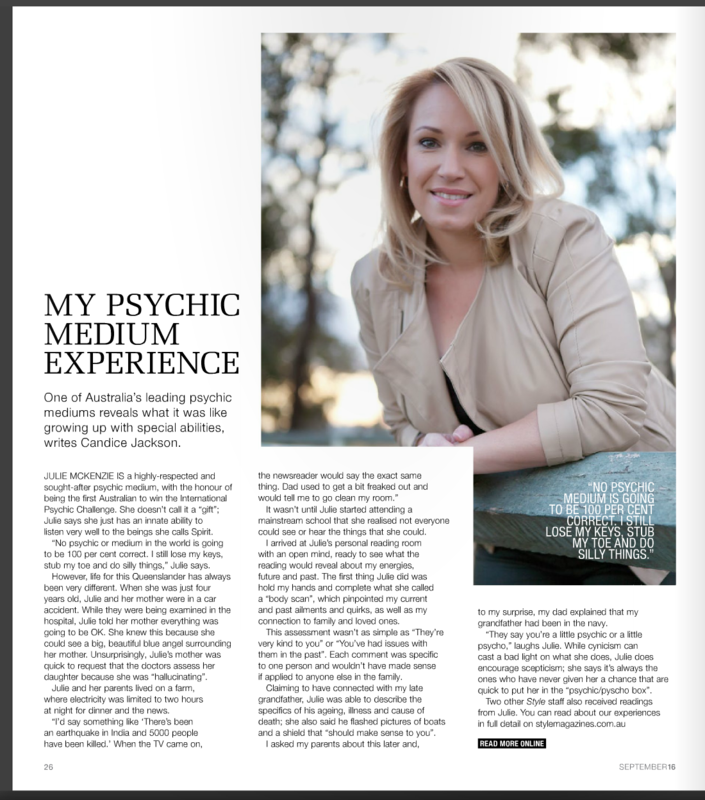 She has also done numerous media including print, glossy magazines, radio and television nationally & internationally. 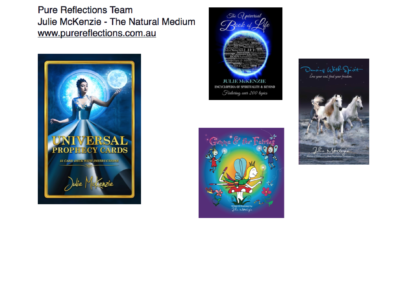 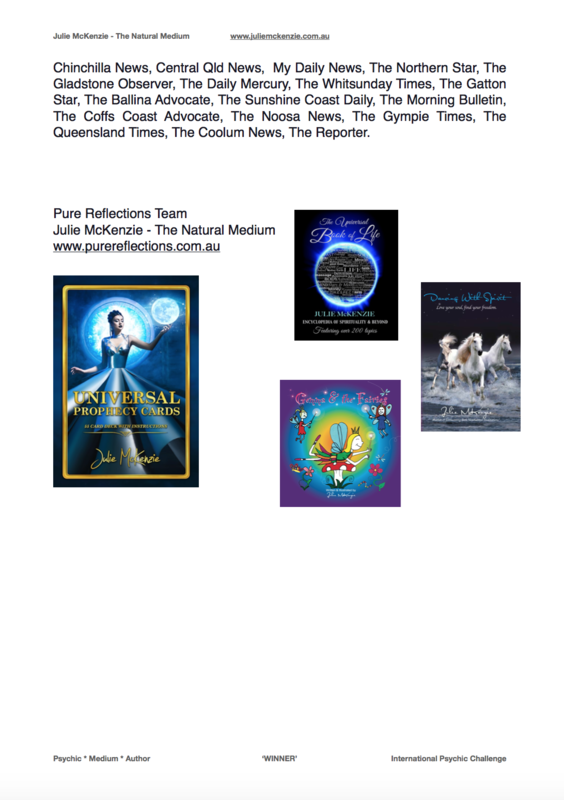 Julie is the author of the Universal Prophecy Cards and has written the books The Universal Book of Life – Encyclopedia of Spirituality & Beyond, Dancing with Spirit, and the popular children’s story Gemma & the Fairies. 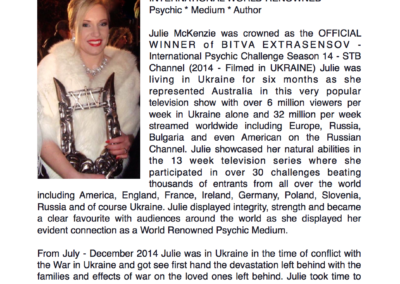 She shows wisdom, strength and compassion as a spiritual teacher, inspiring psychic medium and engaging writer. 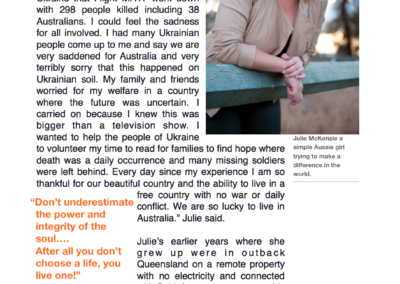 Julie encourages people worldwide to approach life genuinely from the heart, with honesty, loyalty and integrity. 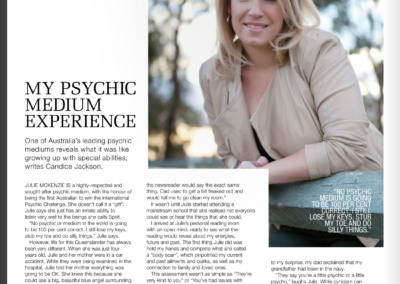 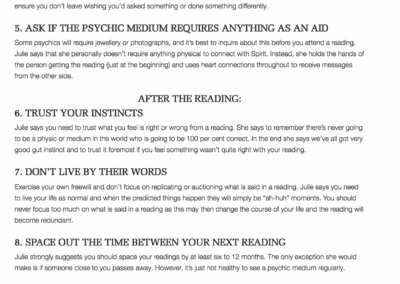 Julie loves to help people connect with their loved ones and Spirit on the Other Side. 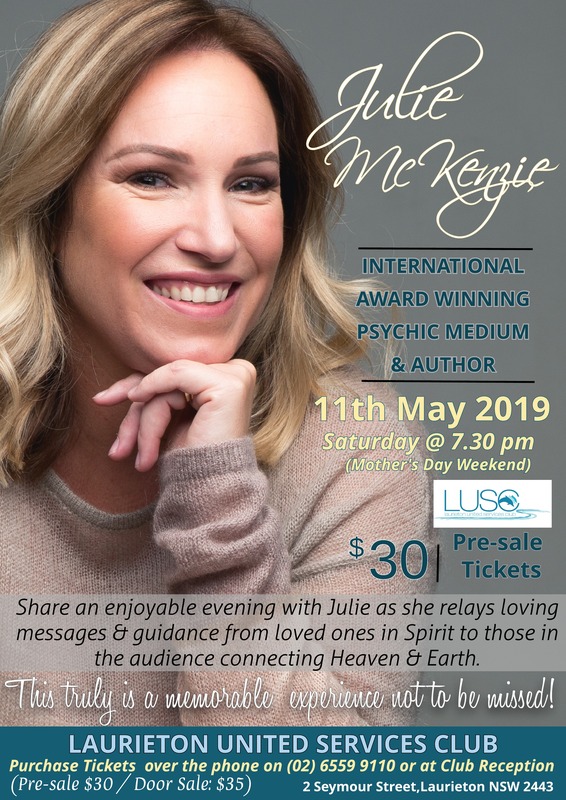 She gives heartfelt messages and guidance through her connection to Spirit which she offers one on one private readings and telephone readings. 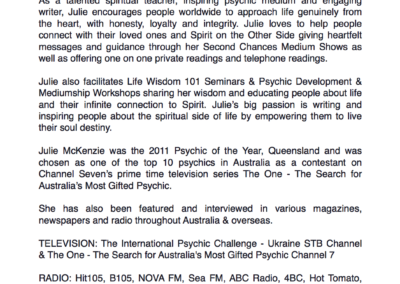 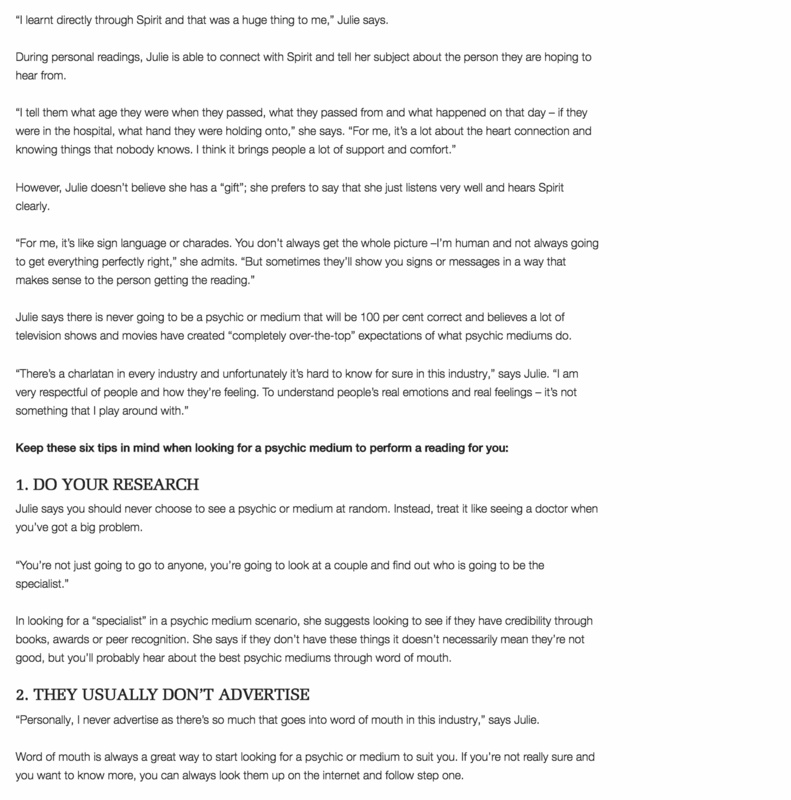 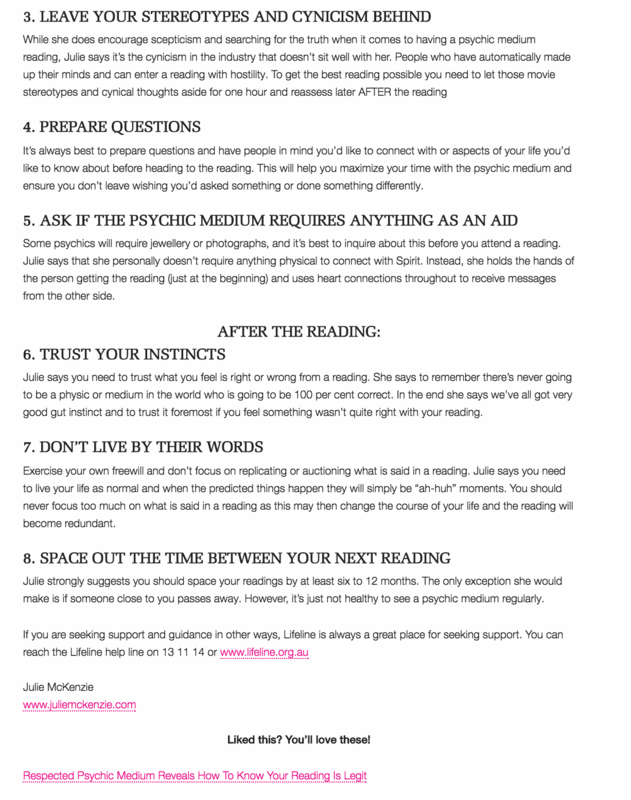 Julie also facilitates Life Wisdom 101 ONLINE Seminars sharing her wisdom and educating people about life and their infinite connection to Spirit. 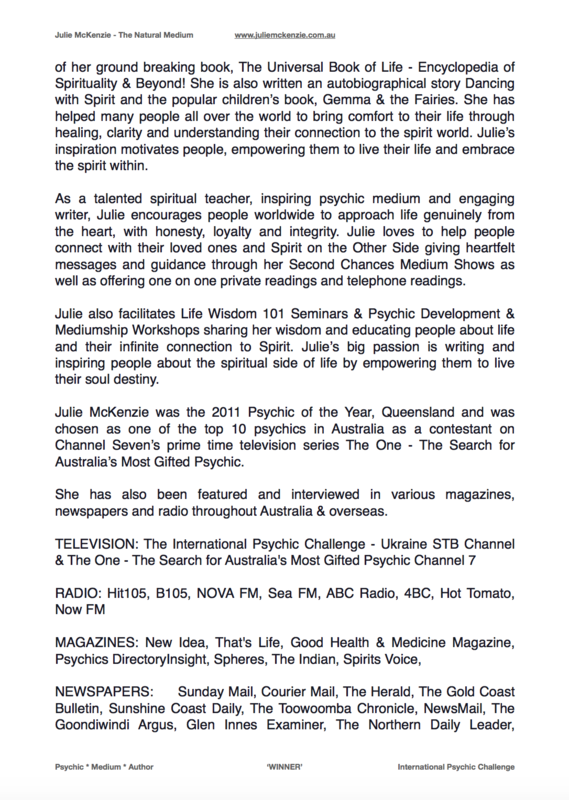 However, Julie’s passion is writing and inspiring people about the spiritual side of life by empowering them to live their soul destiny.